Western Digital WDTV Live HD Media Player is one of the first media players that give native support for 1080p full definition videos including M2TS streams from Blu-ray discs and AVCHD camcorders. For many HD camcorder users, they have been thinking about combining AVCHD M2TS video footage without any quality loss for playback via WDTV Live in big screen HDTV. The guide introduces how to lossless join AVCHD M2TS camcorder footage into one AVCHD movie with no re-encoding on Mac OS X for Full HD playback on WDTV Live. There are several reasons for you to choose Final Mate for Mac to handle AVCHD files on Mac OS X. - Or convert AVCHD files to Apple ProRes/AIC for smooth editing in Final Cut/iMovie without rendering. Turn on your camcorder and connect it to Mac computer with USB cable. Then launch Final Mate for Mac from Application folder. 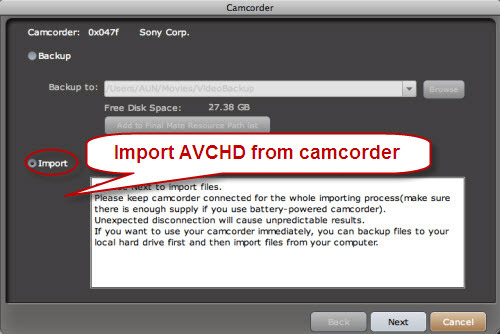 There will be a camcorder wizard for you to easily capture and import AVCHD M2TS files from camcorder to the program. Imported M2TS files will show in Camcorder Tab in the main interface of Final Mate for Mac. Click button in the bottom of Movies Tab to create a movie for lossless output. After that, you can drag and drop AVCHD M2TS videos with same format and parameters from Camcorder Tab into this blank movie. In this way, all your M2TS clips can be joined into a single M2TS file without any re-encoding involved. 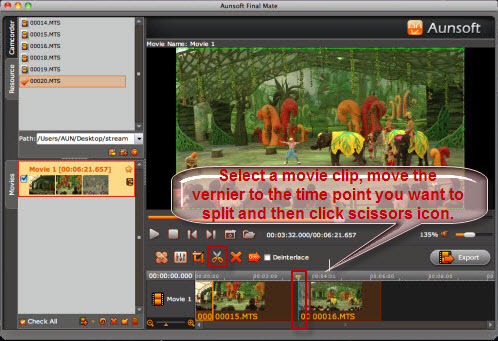 To cut your scenes, you can move the Vernier on Timeline of Final Mate for Mac to the time point you want to cut or split the movie and click button. Then the MTS movie will be divided into two parts. Click to select one part and delete it with button. 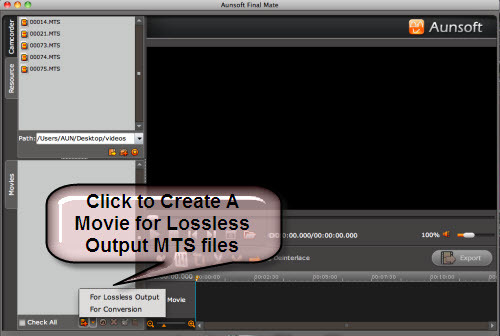 Click Ok to output lossless joined AVCHD M2TS movie. 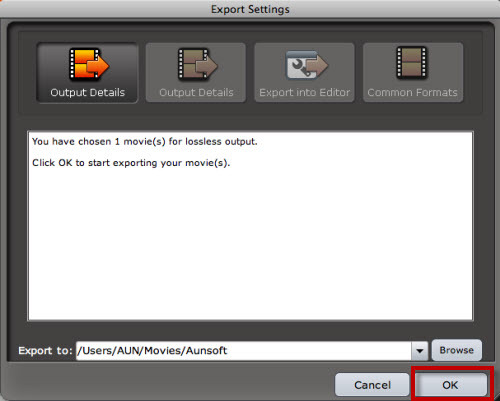 When the process is complete, you can access output M2TS movie by clicking on “Browser for Export Path” in processing window. Copy or stream M2TS movie to your WDTV Live for full HD enjoyment of your memories on big screen HDTV. Tip: 1. If you are a Windows user, you may be interested to know how to combine AVCHD videos for playback on WDTV Live Plus with HD Quality in Windows platform. 2. 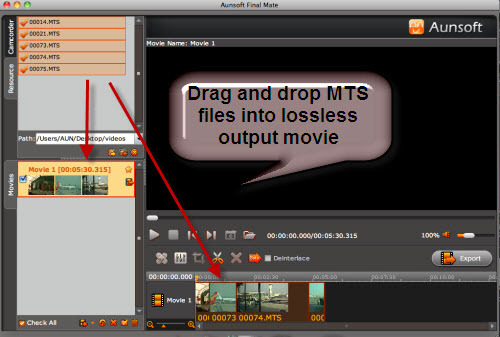 The latest version of Final Mate offers lossless output MKV files from AVCHD files with short time's remuxing.